This paper discusses an exploratory study of government employees’ perceptions of the introduction of biometric authentication at the workplace in the Kingdom of Saudi Arabia. 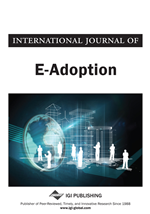 The authors suggest that studying the factors affecting employees’ acceptance of new technology will help ease the adoption of biometric technology in other e-government applications. A combination of survey and interviews was used to collect the required data. Interviews were conducted with managers and questionnaires were given to employees from two different government organisations in Saudi Arabia to investigate the employees’ perceptions of using biometrics. The results of this study indicate a significant digital and cultural gap between the technological awareness of employees and the preferred authentication solutions promoted by management. A lack of trust in technology, its potential for misuse and management motives reflect the managers’ need to consider their responsibilities for narrowing these gaps. It was apparent that overcoming employees’ resistance is an essential issue facing biometric implementation. Based on the research the authors recommend that an awareness and orientation process about biometrics should take place before the technology is introduced into the organisation. To introduce the context in which this study was undertaken it is necessary to consider the concepts of e-government and biometric authentication and how they relate to the technological sophistication of the major users. Saudi Arabia presents a unique set of cultural and technology uptake circumstances that have implications for management of a digital divide. We discuss the background to this enquiry in the following sections. Electronic government involves the citizens of that country in certain government activities in order to help solve problems. E-government provides unparalleled opportunities to streamline and improve internal governmental processes, enhance the interactions between users and government, and enable efficiencies in service delivery (Scott, 2005). It refers to the use of information technology by government agencies in order to enhance the interaction and service delivery to citizens, businesses, and other government agencies (Alharbi, 2006; AlShihi, 2006). Thus, there are four categories of e-government applications which are: Government-to-Citizen (G2C); Government-to-Business (G2B); Government-to-Government (G2G); and Government-to-Employee (G2E) (AlShihi, 2006).